WASHINGTON (AP) – Brett Kavanaugh emailed his White House colleagues in June 2003 with an alert: The U.S. Supreme Court was about to release opinions on the University of Michigan’s use of race as a factor to admit students. It was an issue of great interest to his boss, President George W. Bush – who favored race-neutral admissions. Staff prepared a response anticipating the practice would be struck down, saying, “We must be ever mindful not to use means that create another wrong and thus perpetuate our divisions” in the pursuit of diversity. 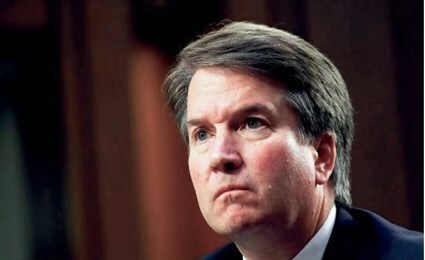 But the next day, justices released a 5-4 opinion written by Justice Sandra Day O’Connor upholding the university’s law school admissions policy, a disappointment that prompted then-Bush policy adviser Joel Kaplan to email Kavanaugh, then a White House attorney: “What’s going on?? ?” In a separate 6-3 opinion, the court said race could be a factor in undergraduate admissions, but not the deciding factor. There is no evidence of a reply from Kavanaugh from his time in the White House counsel’s office. “We are confident that if he’s confirmed to the court, he would undermine the court’s integrity and would prove a grave threat to civil rights, racial justice and the marginalized communities that the Legal Defense Fund represents,” Janai Nelson, associate director-counsel of the NAACP Legal Defense Fund, said Thursday as the organization announced opposition to Kavanaugh’s nomination.